Dachshund have short limbs and vertebrae which are subjected to severe mechanical stresses. Royal Canin Dachshund Dog Food supports the Dachshund’s bones and joints with a specific formula aimed at maintaining ideal weight and an adapted content of calcium and phosphorus. Helps maintain vitality in ageing Dachshunds and maintaining muscle mass with optimal protein content and L-carnitine to help promote energy production in muscles. Helps reduce the volume and odour of the stools. Complete dog feed for joint and bone support, muscle tone, longevity and stool and odour reduction. 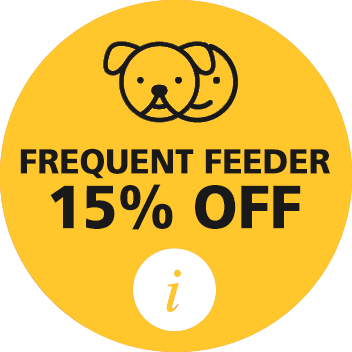 Complete dog feed for adult and mature Dachshunds over 10 months old. rice, dehydrated poultry protein, vegetable protein isolate*, animal fats, hydrolysed animal proteins, vegetable fibres, minerals, beet pulp, fish oil, soya oil, fructo-oligo-saccharides, borage oil, marigold extract (source of lutein), hydrolysed crustaceans (source of glucosamine), green tea and grape extracts (source of polyphenols), hydrolysed cartilage (source of chondroitin). ADDITIVES (per kg): Nutritional additives: Vitamin A: 31500 IU, Vitamin D3: 800 IU, E1 (Iron): 47 mg, E2 (Iodine): 4.7 mg, E4 (Copper): 9 mg, E5 (Manganese): 61 mg, E6 (Zinc): 183 mg, E8 (Selenium): 0.1 mg - Technological additives: Pentasodium triphosphate: 3.5 g - Preservatives - Antioxidants. ANALYTICAL CONSTITUENTS: Protein: 28% - Fat content: 14% - Crude ash: 6.4% - Crude fibres: 2.9% - Per kg: Calcium: 8 g - Phosphorus: 6.6 g. *L.I.P. : protein selected for its very high assimilation.